Dale Cougot considers himself just a runner, as he started his running late in life. His passion for running developed as he lost 40 pounds so he could run his first 5k back in 2006. Dale’s full time “JOB” is an international agricultural economist by training, working for one of the top commodity houses in the world, traveling internationally regularly while studying trends and price forecasting. However, if you ask what he does, he will tell you, “I run!” His ability to analyze things from different viewpoints has helped him to evaluate all the information being taught to runners from different sources and relay it back in a common sense approach. Even though he has only been running a little over a decade, he has run races in China, Hong Kong, Singapore and close to half of the US states with over 100 marathons/ultra-marathons, including over 15 one-hundred milers, the “world’s toughest road race” Badwater135 and a 153 mile run. One of his strongest attributes is his ability to recover. He feels his experience can introduce someone to the trails, take someone to the finish, and make someone faster over the longer distances. He was honored the last several years to be invited as a mentor to one of the top trail running camps in the nation hosted by Team RWB, and this past year he was asked to co-lead one of the four sub-groups. 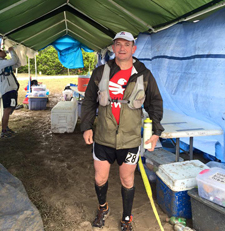 Dale has embraced the Texas YETI Runner and looks to share his experiences with others. Texas YETI Runner LLC is a team training organization headed up by Dale Cougot that welcomes all levels of runners from beginners to seasoned competitors, from road to trail, from beaches to mountains, and even though we proudly call Texas home, we are spotted all over the world. Our governing objective is to teach individuals to listen to their body and soul through embracing the Texas YETI Runner philosophy. Coupled with our mission to inspire runners to seek out ambitious endeavors!! Your running ability currently is only a point in time which we feel that excellence and new levels can be reached by all and we are excited for every little milestone as you improve. Running is a state of mind that allows us to embrace challenges within ourselves that only oneself can truly measure. However, running together building a team atmosphere larger than oneself is a vital objective of the Texas YETI Runner LLC. Trail running is a community which we embrace and want to build in positive environment assisting runners, race directors, local running stores and trail supporters. Our approach to coaching is truly team work, as sometimes the best lessoned learned is while helping others through camaraderie. If you are solely looking to be a speedster, then this might not be the team for you, even though speed is a key part of our training. If you are ready to embrace the Texas YETI Runner, he is ready to guide you through new endeavors. The Texas YETI Runner is a Pooka. Oh, Americans are most likely not familiar with the Pooka, sometimes referenced as a goblin, or a phantom fairy creature that dates back to Celtic folklore and fairytales times. Stories note that a Pooka is a bringer of both good and horrid fortune. Several years ago running through a long dark deserted single track trail around the witching hour after midnight, I spotted a racer struggling and agonizing what to do on a cold hard rock. One could tell, he had been belligerent for hours, now questioning his actions as he waged battle with dehydration, lack of energy, mind wondering in dark zones, sleep deprivation sneaking up on him, and dirt from head to toe from falling several times. While approaching in the cool misty night with a fog rolling over us, a bond was forged that night. For several minutes, we both just gazed at each other trying to figure out if we believed in each other. A peaceful feeling then engrossed both of us as time stopped in the woods that night as we shared our story of how we arrived on this same cold hard mossy rock that was supporting us from two different long paths. Our thoughts then came back to the trail, which did not seem so lonely anymore, and the strength to trudge forward became a little easier as we supported each other through the rest of our adventure. So when you embrace the Texas YETI Runner he will run with you, motivating you, and inspiring you to reach new goals.